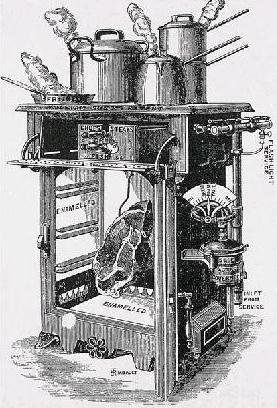 Electric cooking appeared in England in 1890, but was slow to develop due to the sporadic nature of the electrical network. However, as electricity became more generally available at lower prices, electric cookers slowly began to be more commonplace, but were not in general use until 1930. Appliances with electric motorsBefore domestic electric appliances could be developed, two prerequisites were needed: a reduction to a compact, moveable size, and the introduction of a small built-in electric motorwith a sealed motor housing and thermostatic controls. 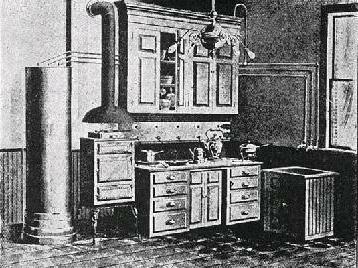 It wasnot until these were available that refrigerators, ventilator fans and washing machines were made possible.In 1860, Ferdinand Carré produced a forerunner of the refrigerator using ammonia as its refrigerant, but it was not until the 1920s and 1930s were these in general production. Indeed, itwas not until World War II that the freezer was developed. Similarly, a hand-turned dishwasher was patented as early as 1865 but it had to wait until the 1940s before modern dishwashers were mass produced. Waste disposers or electric sinks as they were curiously called at first, were invented in 1929 and in production in the US by 1935.
eyes. There are many branded companies that sell top quality products specially made for babies. It occurs when baby is left too long in a wet nappy. at rock bottom, ready to find a permanent solution to cold sores. path of that meridian on your body. Infuse dried rootstock with boiling water to get a tea.